Oh Oh, Mein Fuhrer Obama is going to be really unhappy about "Spilled Beans" ! 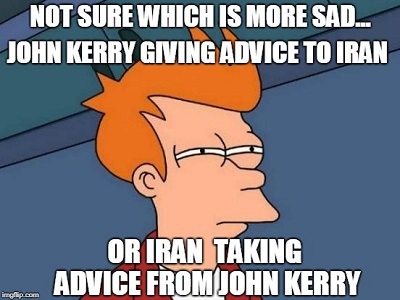 And Kerry just called himself a Sabateur. For those of that HATES your, County, Your Kids, Your Home and All Your Stuff, this is the Guy for YOU! His Excellency, my leader, my guide. And they are going to put Flynn in prison for talking to a Russian? All the destruction these Evil people are doing to your minds, and your Country , with Your permission, are leading you to the world of pure Socialism, done right, the consequences will be Utopien for the powerfull and the rich, not so much for the "Sheeple" who thought it was such a great idea. Try and live one day without Capitalism, no toilet paper, tampons, deodorant, clothing, shoes, clean water, cars, public transportation, hungry hunt your food but first make a spear with no tools, clean the catch without a knife, assuming you can catch anything, make fire without matches, bon appétit. And remember your every move is being watched and calculated by big brother/sister Socialism and they too hate Capitalism. They will continue to enjoy all the finer things in life, that Capitalism brings, like the Daughter of the Great Dictator and Socialist Of Venezuela , Hugo Chaves' , she lives in a palace, is worth billions of Her people's money, that her daddy stole from "HIS" people. That are living , right now , like in the above quote. And the people loved him. Humans are so easy, especially the dumb ones, Their "Handlers" teach them how to Hate and Greed, knowing that these, damaged and easily swayed ,will help in any way they can, to bring their the money and power right to them. Last edited by Doka on 09-16-2018 01:55 PM, edited 1 time in total. "Social Justice" Just Do It! Treason has become socially acceptable. If you're a Democrat, you can commit any crime or atrocity you want, so long as it's for a noble cause. And mobs...er, groups don't come any nobler than The Resistance. groups don't come any nobler than The Resistance.